Thank you for visiting my website to learn some more about me and my poetry. You will find book reviews, books, a listing of magazine publications, and a page to contact me. My favorite poets are Elizabeth Bishop, Mary Oliver, and Raymond Carver. I have so many favorites that it's impossible to name them all. I write lyric poetry about the world and its natural, cultural, and archeological histories. I am from the Pacific Northwest and currently reside in the Southeast. These two regions inspire my poetry. They are rich in wildlife, natural history, and cultural history. A lifetime of writing could never define the treasured landscapes and seascapes of these areas. But I will try. With your support, poetry will flourish again. It will find a shelf in every bookstore out there, not just a few. Pick up a book of poetry and read each poem as its own story, a story meant to move you in unfathomable ways that fiction novels cannot. From real to imaginary, from ordinary to extraordinary, enjoy a poem every day. WINNER! ANDREW'S POETRY COLLECTION, LANDSLIDE, WINS FINALIST IN THE NEXT GENERATION INDIE BOOK AWARDS! WINNER! 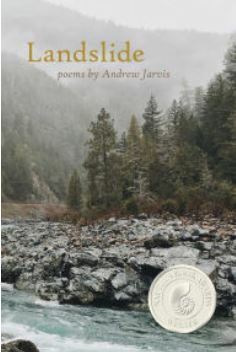 ANDREW'S POETRY COLLECTION, LANDSLIDE, WINS SILVER MEDAL IN THE COLORADO INDEPENDENT PUBLISHER'S ASSOCIATION (CIPA) EVVY BOOK AWARDS! WINNER! ANDREW'S POETRY COLLECTION, LANDSLIDE, WINS SILVER MEDAL IN THE NAUTILUS BOOK AWARDS! This is an achingly beautiful collection of poems. Andrew Jarvis is a kind of archaeologist of the soul, painstakingly revealing our deepest truths. The poems make enormous and delicate leaps of time (“Ozette”), wrestle with mortality, (“Garage Boots”), and acknowledge the pain of familial obligation (“The Rod”). They unnerve us and make us laugh (“Rummaging”). Like all great artists, Jarvis takes us to a place we think we know, then tilts things just so, leaving us to confront the terror, joy, and wonder of being human. Jarvis is a naturalist and his landscape is the Pacific Northwest, a plentiful homeland of visual beauty, prowling animals and local characters. There’s a joyousness about his observations, figurative and representative at once. He knows when to compel silence in exact line lengths and expert phraseology. After you read a poem you’ll step back and see even more; reread to see how a good poem recreates itself. This poet’s knowledge of his land makes us comfortable readers. Andrew Jarvis writes the past and gritty present of the Strait of Juan de Fuca. In this debut, The Strait guides readers through a spiritual, haunted, and honest landscape, alive with the wise raven in the sky, the hungry sea creatures below, and ancestral memory preserved in the rocks and pictographs. 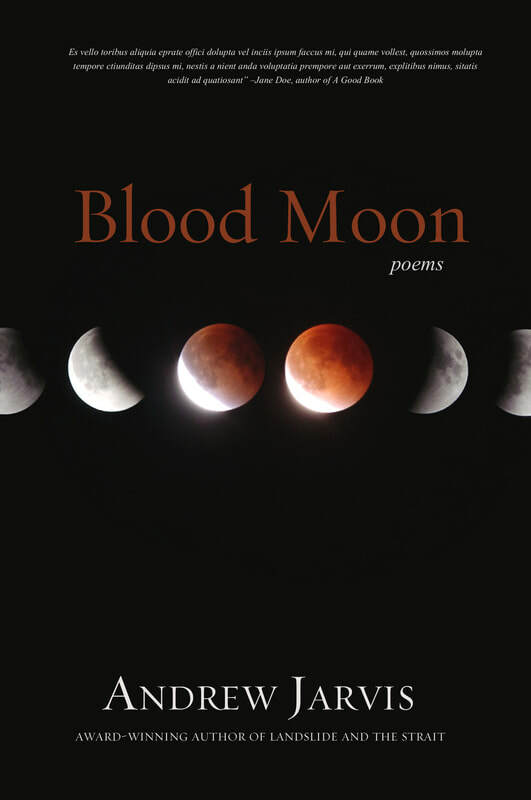 Each poem creates a concise and calculated snapshot of the daily beauty we overlook. 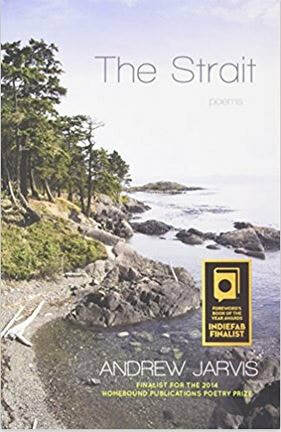 Woven between past and present, Jarvis entices readers to rummage the seashore and to journey through the woodlands where they find hope and music within the land and in these powerful poems.